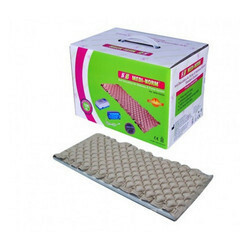 Our range of products include air bed and pressure redistribution system air bed - apex. 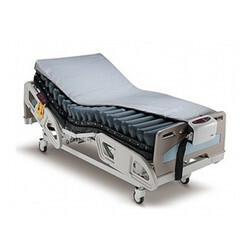 Air Mattress is extensively used by the patients for prevention of bed sores in hospitals, houses, nursing homes etc. The offered mattress is manufactured using high quality basic materials with the help of progressive techniques. Besides, our honorable clients can avail these Air Mattress at economical prices. Note: The above specification is as per the details given in the product manual. Domus 4 is one of the advanced systems in Domus series. The digital multi-mode pump not only offering alternating pressure redistribution, but also has a static mode with constant low pressure reduction. In alternating mode, the pressure is periodically redistributed by inflating and deflating cells in order to mimic natural sleep movement patterns and avoid long term pressurization of tissue. In constant static mode, the pressures are lowered by the means of immersion and envelopment. The system also offers advanced features such as seat inflation and max firm features. With both audible and visual alarms to notify the caregiver of unusual situation, the system is an ideal to reduce the risk of human error and suitable for the prevention and treatment of all stages of pressure ulcers.